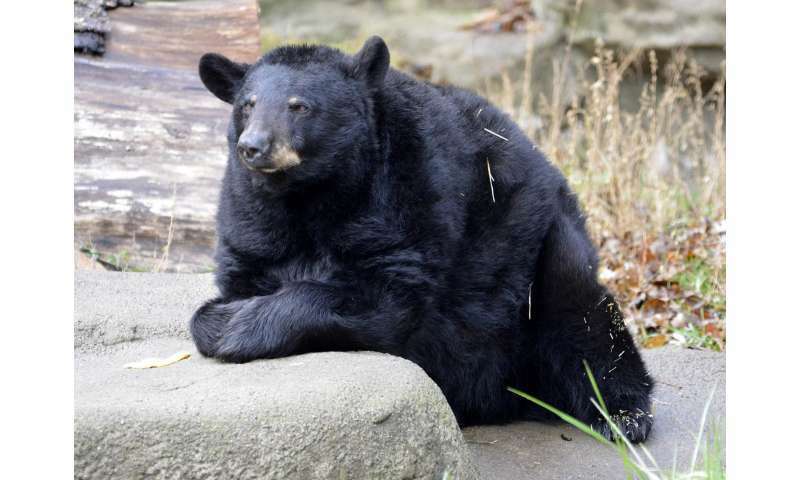 American black bears may be able to recognize things they know in real life, such as pieces of food or humans, when looking at a photograph of the same thing. This is one of the findings of a study led by Zoe Johnson-Ulrich and Jennifer Vonk of Oakland University in the US, which involved a black bear called Migwan and a computer screen. The findings are published in Springer's journal Animal Cognition. The study forms part of a broader research project into the welfare of bears in captivity. It aims to find out how the animals themselves rate the environment in which they are held, and the facilities, food and features provided to them. The goal is to assess this by presenting bears with photographs of objects. To do so, the research team first had to assess whether bears are in fact able to recognize 2-D images of objects and people familiar to them when these are presented to them on a touch screen. With this in mind, the researchers tested the responses of an American black bear named Migwan. The bear was born in the wild, but was rescued at a very young age and rehabilitated due to injuries. She had previously received several months of training on an unrelated task using photographs of food items from her normal diet. In this study, Migwan was first presented with two sets of objects new to her. Her ability to recognize these later, when presented with photographs including the items she had learned, was then assessed. In a reverse task, she was also trained on the photographs of two different sets of objects and tested on the transfer to real objects. It was found that Migwan was able to recognize, on a photograph, the visual features of objects or natural stimuli she already knew. It is an ability that bears share with hens, rhesus monkeys, pigeons, tortoises and horses. "Bears can transfer learning with real objects to photographs of those objects presented on computer screens," says Johnson-Ulrich. This means that photographs of items (food, objects, people or other bears) that are familiar to bears can be used to further test their discrimination ability. Johnson-Ulrich therefore believes that the findings have important implications for the use of photographs in computerized studies involving bears, and in ultimately ensuring the welfare of captive bears. "Because a lot of research with photographic stimuli uses familiar images, for example food or conspecifics, this is useful in suggesting that bears' responses to these photographs may reflect behaviors towards real items," Vonk notes. Johnson-Ulrich and Vonk however caution that the ability of bears to recognize features of real objects within 2D-images does not necessarily mean they understand the representational nature of photographs. It is also still uncertain how well bears are able to recognize tangible objects which they first saw on a photograph before being introduced to the real thing. Further research using other bears is therefore needed to verify if the animals can transfer information from pictures to objects, too. Study shows black bears able to "count"
Is cannibalism in polar bears on the rise?